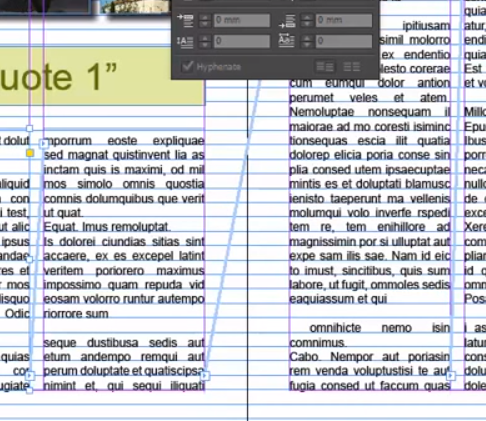 Baseline Grids in Adobe InDesign enable you to align the bottom of each line of text perfectly. When you have two text columns next to each other its very easy to have the bottom lines not parallel which can make your artwork look messy. 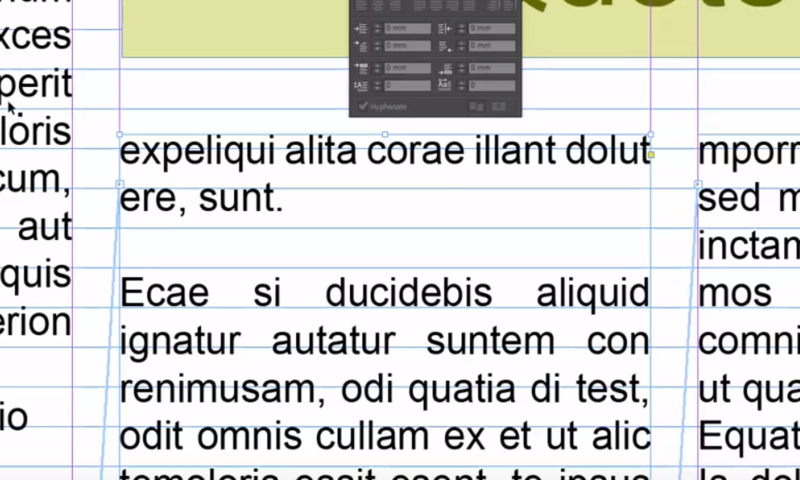 You can align your text lines to a baseline grid at any time but its important to amend the baseline grid measurements to match your Adobe InDesign text line measurements. 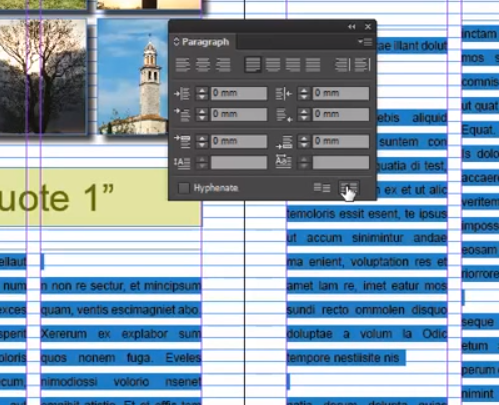 To align your text to a baseline grid firstly you need to open your Adobe InDesign paragraph panel by going to Window > Type & Tables > Paragraph. At the bottom right hand side of this panel you will see two buttons the one on the left which is likely the one that is turned on at the moment is the one you press when you don’t want your text to be aligned to a baseline grid, the one on the left is the one we use to attach the text to the baseline grid. 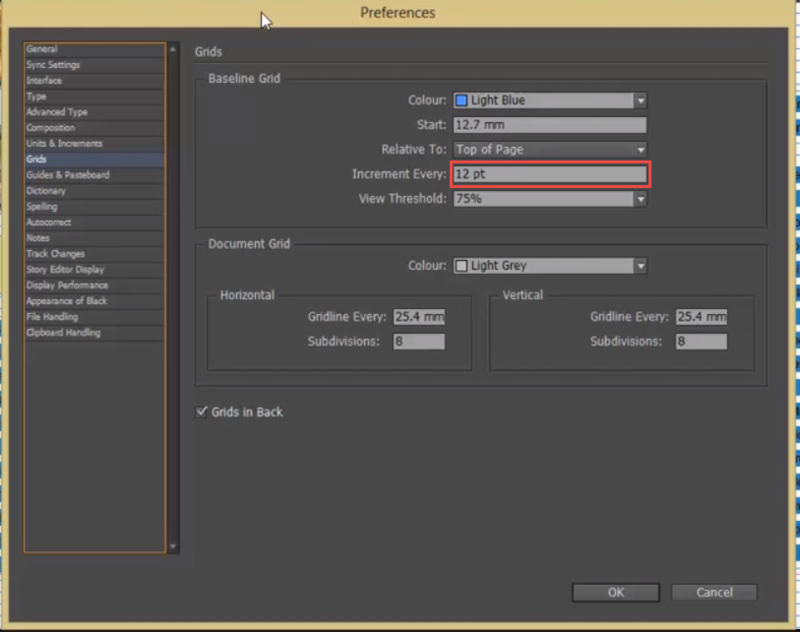 To see the guides that make up our Adobe InDesign baseline grid you can go to View > Grids & Guides > Show Baseline Grid. 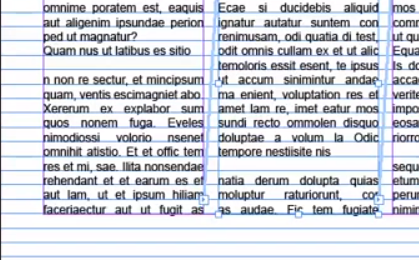 This will put a series of lines across your pages. If the lines are not visible you may need to zoom in slightly on the page. 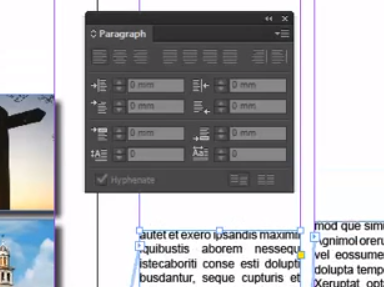 If you now select all of the text you want to align to the baseline grid then click the button bottom right on the Paragraph panel to make the text align with the grid on your Adobe InDesign spread. Its likely that the text does not fit to this grid and you have ended up with some strange spacing in between your lines. This means that we need to adjust the spacing on our baseline grid to match the leading (line spacing) of your body text. To adjust the baseline grid you go to Edit > Preferences > Grids, then we need to change the ‘increment’ setting to match the body text leading size. Then when we return to our Adobe InDesign page layout the baseline grid will match the body text perfectly and everything should be nicely aligned.